While BREIA stands for the Broward Real Estate Investors Association, and we are located in a position that allows us key information to Fort Lauderdale real estate investing, we are a stones throw from Miami and warmly welcome those of you looking to invest in Miami real estate. Investors of all types, including Miami real estate investors, are looking to add to their portfolio by putting high-quality real estate in it as one of their major investments. Some of these investors are starting to get frustrated with the extreme ups and downs of the stock market, and they are finding it difficult to find themselves making a tremendous amount of money at one point, and then six months later losing a lot because of the volatile nature of the stock market and other investment types. Our real estate mentoring program teaches our time tested methods of finding value in Miami. Real estate investing might seem complex to many, but Miami real estate investing is definitely a huge benefit to those looking for high quality investments at an affordable price with tremendous upside. Investing in real estate is a lot different than your typical types of investing like CDs, stocks, bonds and many other overwhelming ways to try and make money. Real estate investing – especially Miami real estate investing – does not need to be particularly difficult. It does not need to be a scary proposition anymore, and this is especially true now that all of the inflation is out of the market and many of the properties are being sold below market value. This is a buyers’ market through and through, and Miami real estate investors have to capitalize on this advantage while it is still there. If you’re looking to turn Miami real estate investing into a career, there couldn’t be a better time than now. We’d like to help make this process easier than it has ever been, so please go through our checklist below to make sure that you are ready to take advantage of Miami real estate investing and all that it has to offer. Treat real estate investing as the business that it is – if you’re looking to turn Miami real estate investing into a career, then you better well treat it as a business. Create a strong business plan and detail all of the nuances involved with beginning and then operating a business. Create realistic goals for your real estate business. Create a plan and have goals at the one-year period, five-year period, 10 year period and more. 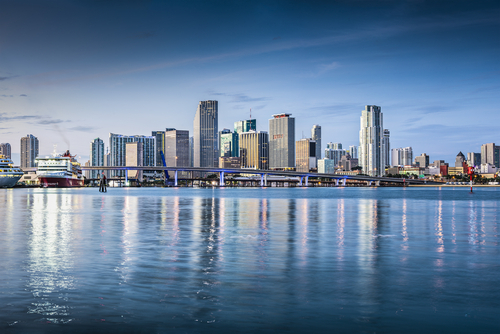 This will help you figure out exactly where you plan to go as a Miami real estate investor. Keep tabs on your credit score – you’re going to have a difficult time becoming a Miami real estate investor if your credit is shot. Creditors are not going to want to lend you money – and this is especially true after the real estate crisis in the mid-2000s – so you better have a credit score of at least 700 points or better. The better your credit score, the better chance you’re going to have when borrowing money for your investment properties. And the lower your credit score, the more interest you’re going to have to pay and vice versa. Having a higher credit score will help you to attain financing at the lowest interest rates available today. So keep tabs on your Equifax, Trans Union and Experian credit numbers. You can do this for free through a website called Credit Karma. Establish a relationship with a mortgage broker or bank in your local community – this is especially important if you plan to finance your Miami real estate investing. You’re going to need somebody that is available to lend you money every time a good deal comes across your path, so creating a rapport and a good relationship with a mortgage broker or bank in the area is going to make this process so much easier when the time comes. Establishing this relationship is going to be a very good thing for your career as Miami real estate investors, so create a relationship with a bank or mortgage broker and begin looking for property as soon as possible. Look for properties in the best areas of Miami to meet your needs – as a real estate investor in Miami, you’re going to have certain properties that speak to you more than others. Maybe you are looking to buy residential property in Miami and you would eventually like to flip these houses because the market is so low and you feel that you can make good money doing this. You’ll need to stick to the residential areas obviously if you’re going to find the best properties available at this time. So determine the types of property that you’re looking to buy and then find the areas in Miami that have these properties so you know exactly where to look. Speak with local Miami real estate investors to find out about the landscape – there’s no reason to go into this process blind if you are brand-new to Miami real estate investing. There are plenty of investors in Miami doing exactly what you plan to do. Talk with them at your earliest convenience. Find out about the landscape. Find out about hot properties, interesting things happening in the real estate world in Miami and more. Let people with experience guide you so that you can further your real estate career without stumbling over too many bumps in the road. Find top-quality Miami realtors to help you locate the properties that you’re looking for – there’s no reason to go about this process all on your own. That’s the reason why real estate agencies are there to help Miami real estate investors. Connect with high-quality real estate agents in the area to get the help that you need to find the best investment properties available at the time. These real estate agents absolutely know their market and they will know exactly what you are looking for after speaking to them. They will be able to point you in the right direction so that you can locate and find the best properties to meet your needs as a Miami investor in real estate. Real estate agents are big help so connect with them right away to find the best properties now. Use this information to begin your Miami real estate investing career sooner rather than later.